If you purchase a steel storage container it’s because you know you’re going to need it for years to come. Choosing a high-quality conex box is the first step, but proper storage container maintenance is key to seeing a return on your investment. At TP Trailers & Truck Equipment, we rent and sell a massive inventory of high-quality storage containers. Not only are we your resource for the equipment you need, but we also have the know-how to ensure you get the most out of your container. 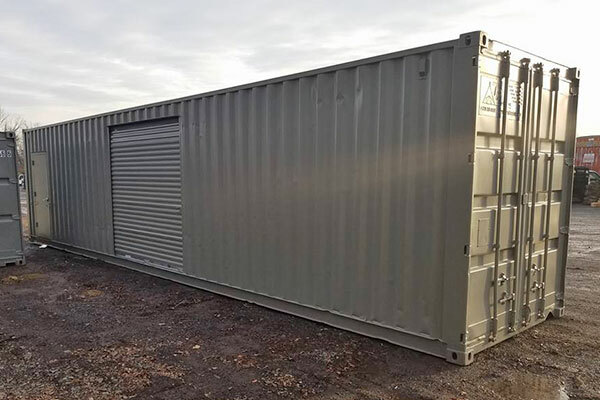 Read our latest blog to learn more about storage container maintenance as well as common container repairs. 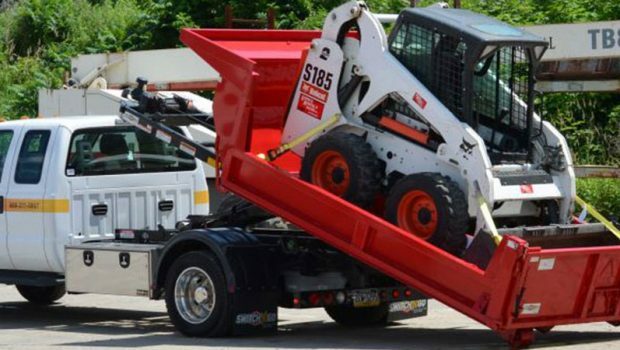 While any storage container in good condition will be a fairly-low maintenance piece of equipment, there are a few crucial pieces of container maintenance that protect it over the years. Grease and Lubricate the Container Doors — In order to get the most use out of your container, you need to keep the doors in good shape. In order to keep the doors easy to open, you’ll want to lubricate the doors’ latching points. Use WD40 on the door gaskets and bearing grease on both the top and bottom latches of the container doors. This storage container maintenance should be done every few months to keep the doors in good shape. Learn more about opening stuck container doors. Place the Container Correctly — Placing the storage container in the right place can do quite a bit to extend its lifespan and prevent rust from attacking the container bottom. If the container is left on dirt or on grass, moisture will become trapped under the container and rust away the floor over a long period of time. Instead, we recommend placing your storage container on a blacktop, concrete or stone surface. If you need to place the container on dirt, have it sit on wood blocks rather than directly on the ground. Treat Areas of Surface Rust — Widespread rust is one of the major factors that can destroy steel shipping containers. Treating and removing small spots of rust is one of most important pieces of storage container maintenance. If you see the beginnings of rust forming on your container, neutralize the rust with rustoleum and repaint the damaged sections. Sweep off the Roof — Using the flat roof of your container for additional storage space is a smart move, especially on lots with limited space for containers. However, you’ll want to keep loose debris like leaves off the container roof, since those kinds of debris will trap moisture. Just like trapped moisture can eat through the container floor, it can also eat through the ceiling of your container. A container with a ceiling full of rust and holes won’t be secure enough for most uses. Protect the Door Gaskets — The door gaskets on a storage container keep it protected against the elements. While the gaskets themselves don’t require much maintenance, you need to be careful during the loading and unloading processes. It is fairly easy to clip the corner of the door with a forklift and bend or rip the gaskets as a result. Damaged door gaskets allow the container to begin leaking water around the door frames every time it rains. Learn more about how to inspect a storage container. Keep the Doors Closed — One of the most important pieces of shipping container maintenance is also the simplest. Keep the storage container door closed when not in use. This keeps excess moisture from entering the container which can cause the plywood container floor to rot. See our video on how to open a container door. From our experience, most companies and contractors prefer to replace damaged shipping containers rather than repair them. 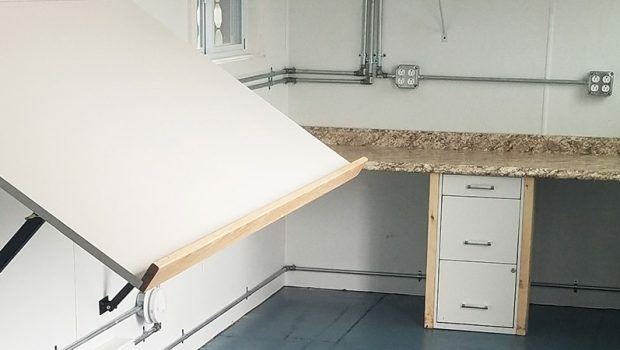 Replace the Floor — If the plywood floor on your shipping container rots out or simply cracks, you can replace it on its own. If the wooden floor is the only damaged part of the container, you can replace the individual boards. However, if the steel bottom also rotted away, you’ll need to replace the whole container. Patch Small Holes — If rust leaves small pinholes on the surface of your container, you’ll need to do something about them. If the damage is limited to a small area, you can weld metal patches over top of the damaged areas. If the holes are only in a small area, this is a viable solution. However, this can be time consuming and not everyone has the tools to do it. Whether you’re renting or buying a portable storage container, TP Trailers & Truck Equipment is the team to trust. We offer a wide selection of high-quality units, including 20-foot containers, 40-foot containers, and mobile offices. 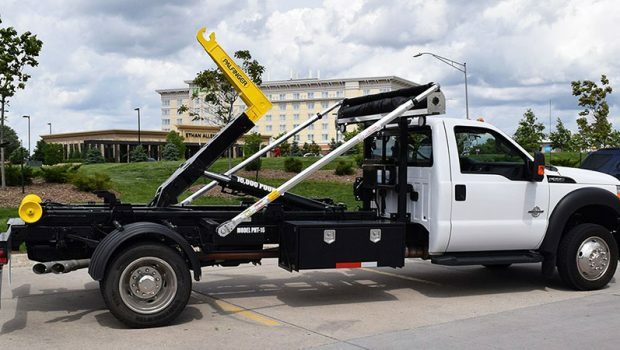 In addition to our high-quality inventory, TP Trailers & Truck Equipment provides competitive pricing complete with delivery on all of our units. Contact us today to start the conversation and to get your container quote.